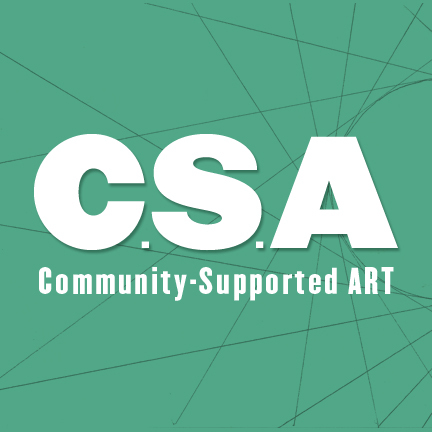 Community-Supported Art (instead of Agriculture). This is an interesting concept featured on the nytimes website today. People often do not know how to go about collecting art. It’s like being overwhelmed by all the book covers in the bookstore and feeling like you have no way of honing in on what it is you want to get because no one gave you a recommendation as of lately. All you know is, reading is important and it’s been your personal resolution to do it more. So, they say you should start collecting art and personalize your space. How about doing that locally with artists who really appreciate your support and make some pretty incredible things. It is a blind C.S.A – you really have no idea what will be in your share when you pick it up – but these artists are dedicating a project with a limited edition of about 50 pieces and it sounds like an awesome concept to be a part of. You’ll be sure to have many conversation starters. It is only in a few locations now, including my neck of the woods in Brooklyn. This knockout design studio based in Seattle and London is coming out ahead of the game because they just get it. Look at their workspace, play space, client space, friend space. It’s no wonder they have a long portfolio list of brand experience strategies, packaging designs that you have in your own home, and endless marketing ploys. Their motto is that they are Creators of Things, and that goes as far as their office. In Seattle (pictured above), the entrance serves as a gallery space for passersby to wonder at and for Creatures (Creature employees, I mean, they must go as ‘Creatures’ right?) to continue practicing their crafts and artistry which often goes to the wayside when graphic designers work for bigger companies. And, of course I did not forget their Safehouse space (http://safehouse.welcometocreature.com/). Everyone needs to take a moment away from their computers, desks, and a company that supports a visit to a bar is up there in my book. Cudos, Creature. A mug of whiskey, dust lined tin cans featuring old school graphics, and 3,000+ LPs to peruse. I’ll take a job offer any day.